As a Councillor representing the Shamrock Rovers heartland of Tallaght – not to mention a teacher in a Rovers-mad sixth class in St Dominic’s NS, just down the Bypass from Tallaght Stadium - it’s hardly in my interest to be a St Pat’s fan. But that’s exactly what I am, long-suffering and all though my support has been. So although my political sensibilities may have been split during the FAI Cup semi-final replay last week, my footballing loyalty held true to the bitter end. Constituents and schoolkids alike have since kept me well-reminded of Rovers’ 1-0 victory in the replay! 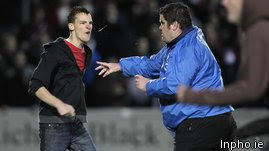 But outside of the fanbase of both clubs, all attention focussed on the crowd trouble after the final whistle. Within an hour of the final whistle, radio phone shows were buzzing with conflicting reports of what was likened to a full-scale riot. Like everyone else with a passion for League of Ireland football, I’ve seen it all before – both the crowd trouble and the damaging reports. What rankles with me is that the extraordinary work done behind the scenes at both clubs – simply to keep them going – is jeopardised by a small group of teenage wannabes, a smaller group of grown men who should know better, and sections of the media who only realise that we have a football league in Ireland when there’s a hint of trouble. The pitch invasion by no more than 200 of 2000 Rovers fans in the ground may have represented a natural overspill of emotion after winning the match, but the danger in which it placed players and others was unacceptable. Similarly out-of-order was the movement of this throng to confront the St Pat’s supporters in the West Stand, the half dozen or so St Pat’s fans who jumped onto the pitch to confront the Rovers’ fans, and the ensuing minor skirmishes and plastic bottles being thrown back and forth. Those who seek to portray this as ‘part-and-parcel’ of the ‘rough-and-tumble’ of the game – as some did in the media last week - are doing a great disservice to League of Ireland football. There was real fear in Richmond Park on the night. The throwing of flares or bottles or scuffles with stewards are not welcome in Richmond Park, Tallaght Stadium or anywhere else in football. But this wasn’t the first pitch invasion in football - and it won’t be the last. And it is wrong for any newspaper or radio station to sensationalise the extent of last Tuesday’s incidents. Some outlets – the Echo included – reported sensibly on the crowd trouble. Others hyped it up – a great boon for the few wannabe-hoolies who revel in such coverage. For my part, I was struck by the discipline of Pat’s and Rovers fans on Tuesday who remained off the pitch and stayed uninvolved despite provocation by some of those on it. Football fans aren’t angels – stand beside me on the Camac Terrace on any given Friday night and you’ll testify to that – and nor should they be. The League of Ireland, for all its faults, has not been pasteurised and retains the working-class character and edge that has been lost in the Murdoch era of overpriced top-flight football across the water. But our ordinary, decent fans rarely get a mention and yet are tarred with the hooligan brush whenever incidents such as these are reported. We need to learn the lessons from nights like last Tuesday for these ordinary fans and their clubs. Firstly, the punishment for those involved in any form of violence must now be strict and immediate. Fans have been banned by clubs in the past, but to save any confusion and to ensure the integrity of our game, perhaps it is time for an “FAI ban,” meaning that such ‘fans’ would be banned from the Aviva Stadium and FAI-sanctioned away trips as well as all domestic games. It is also clear that security must now be tightened both at and around games of this nature. Secondly, fans should redouble our efforts to promote our clubs rather than have incidents like this sensationalised in the media. Community-based papers such as The Echo give excellent coverage to both Pat’s and Rovers, but other outlets treat so-called ‘domestic football’ with disdain. Real fans should challenge the sensationalism at all opportunities. I see on a daily basis the amazing work done by Shamrock Rovers in promoting a positive identity for kids in Tallaght, as well as their excellent youth set-up which keeps kids on the pitch and off the street corners. St Pat’s do likewise. Fans should seek to promote these plus-points in the traditional media and online through social network sites. Finally, and perhaps most importantly, longstanding supporters at both clubs have a role in encouraging younger fans to steer clear of trouble by both words and action. For me, the only thing more depressing than the scoreline last week was seeing a grown man throwing a bottle and another storming onto a pitch swinging an umbrella. After all, Pat’s and Rovers belong to the fans, not the fools. Aiden Corkery, a journalist from the Irish Daily Mail picked up a tweet I posted regarding a hate site targeting Senator David Norris two days ago and published an article in today's paper. It's not available online so I've typed out the piece below. A WEBSITE containing homophobic remarks has been created to attack the presidential bid of gay rights campaigner David Norris. Despite appearing under the apparently pro-Norris name of davidnorris4president.com, the website repeatedly refers to Mr Norris' homosexuality. It claims that homosexuality is a 'lifestyle which is often associated with sexual promiscuity' and that there is 'no genetic evidence' to support being gay. 'David has embraced a lifestyle which is blatantly out of line with traditional biblical morality,' it states. The slickly-designed site encourages fans to visit campaignforconscience.org, which contains even stronger attacks on the gay community. And it describes homosexuality as a 'self-destructive lifestyle' as well as criticising the recent Civil Partnership legislation that allows homosexual couples to have their relationships legally recognised for the first time. Both websites appear to have been created by conservative Christians Seán and Martina Burke who have a family of ten children in Castlebar, Co Mayo. They held a series of protests outside the Dáil in the run-up to the Civil Partnership legislation. Last night, family spokesman Enoch Burke declined to comment when contacted by the Irish Daily Mail. 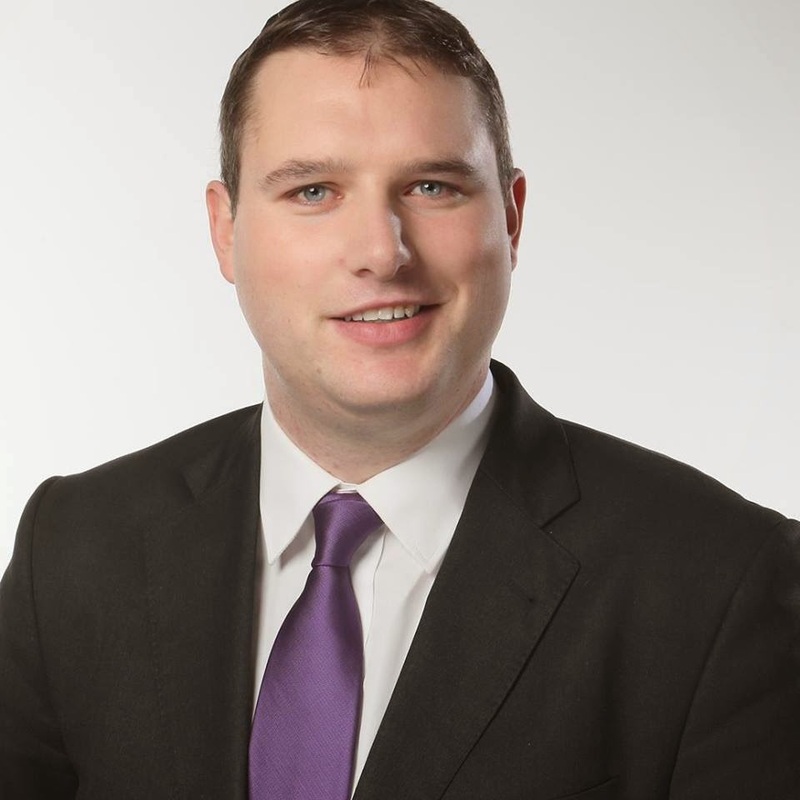 The existence of the website was highlighted by Labour councillor Dermot Looney. Mr Looney - who is supporting Labour's Michael D Higgins for the presidency - said he was sickened by the site. 'It reminds me a lot of the attack-style campaigning by the Republican party in the US,' he said. Cllr Dermot Looney, a Labour Party representative on South Dublin County Council, has said that the publication of the National Housing Development Survey this week highlights over 5,000 ghost houses and apartments in the county. The report shows that, like most counties, South Dublin has a significant problem with ghost estates that are in limbo and only partially completed.